When you're experiencing a mental health problem, supportive and reliable information can change your life. That's what we do. We empower people to understand their condition and the choices available to them through: Our Info line which offers callers confidential help for the price of a local call. Our Legal Advice Service which provides information on mental health related law to the public, service users, family members/carers, mental health professionals and mental health advocates. Our award-winning publications and website, now certified by the Information Standard. 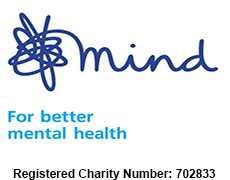 If you would like to help raise funds for Mind whilst at the same time reducing the amount of waste consigned to landfill please use the contact us below. If your items are eligible, please call us on 0333 323 7677 or fill in the contact us form below and we will ensure that your items are recycled on behalf of your chosen charity. Once your free collection is arranged we will send you packing and further instruction. All proceeds go to Mind.